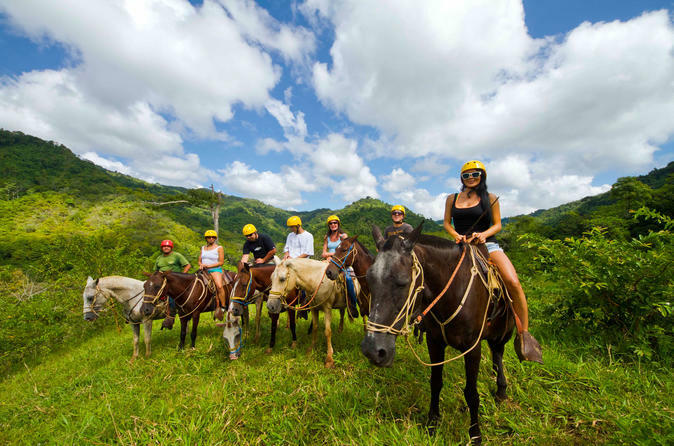 Prepare for an unforgettable experience as you join one of the most popular tours in Costa Rica. 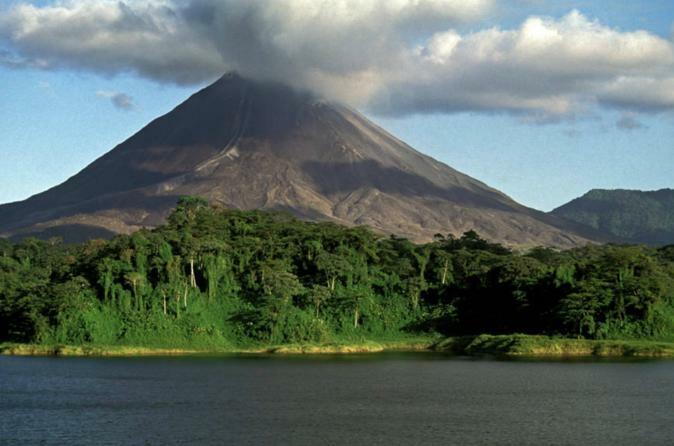 From Central Pacific, you'll explore two of Costa Rica's most visited attractions, the Arenal Volcano and natural hot springs nearby, you'll mix adrenaline with relaxation on this full-day Central American tour. 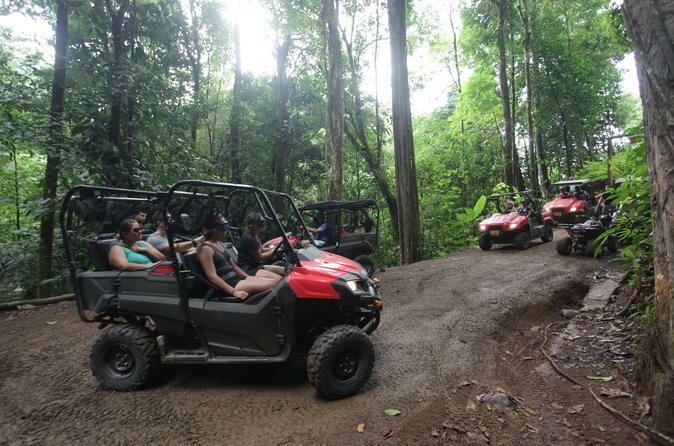 This full-day ATV tour is a great off-road adventure in Costa Rica. 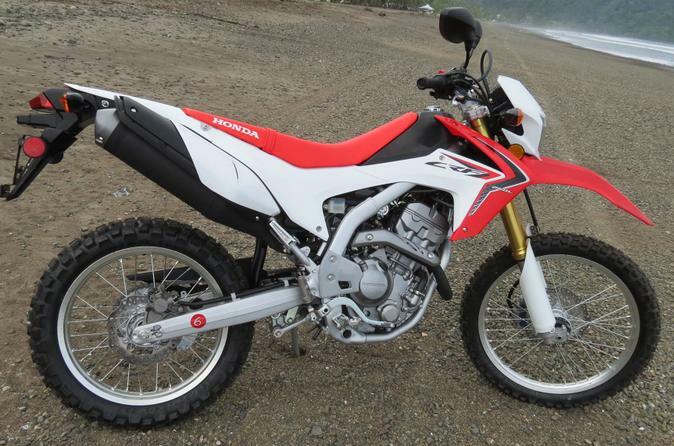 This a perfect option whether you’re a solo rider or riding with friends or family. You will have a professional bilingual guide to take you way off the beaten path and into Costa Rica’s hidden waterfalls, rivers, seasonal trails and to places in the rainforest most locals don’t even know about. 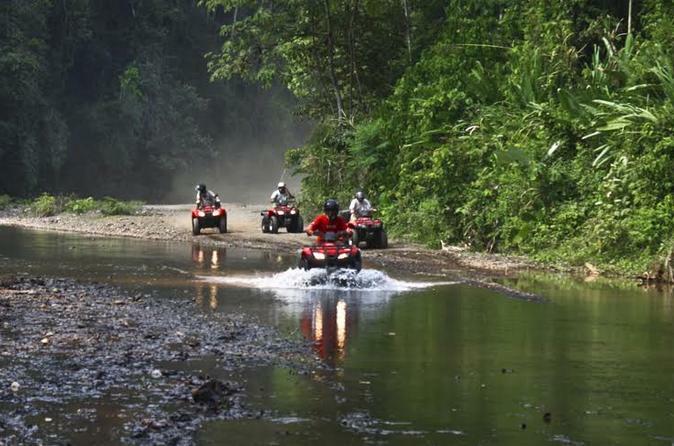 This tour is an unforgettable day of ATV riding, fun and adventure in the rainforest. Monkeys and more monkeys. This the best tour in Costa Rica. Chino the Monkey Caller will bring monkeys right onto the boat. The longest Zipline on the Central Pacific Coast over 2,400 feet. With this tour, you will be able to enjoy 14 platforms and 12 cables that travel over 3.5 kilometers through the Costa Rica jungle! Get ready for the adventure. Join this ATV tour and select the best option for you. Select 1-hour to 4-hour tours on this Jaco tour. Your best day in Costa Rica starts when you and your party are picked up at your hotel and delivers you to the 850-acre private river valley and the waterfall called El Encanto. You arrive and are outfitted with the latest in safety harnesses and trained by professional guides to conquer the 180 foot giant. A hike up the trail puts you on top in another world, where you are tethered to the mountain rappelling rope one by one and lead down the series of pools to the bottom and a cheering crowd. 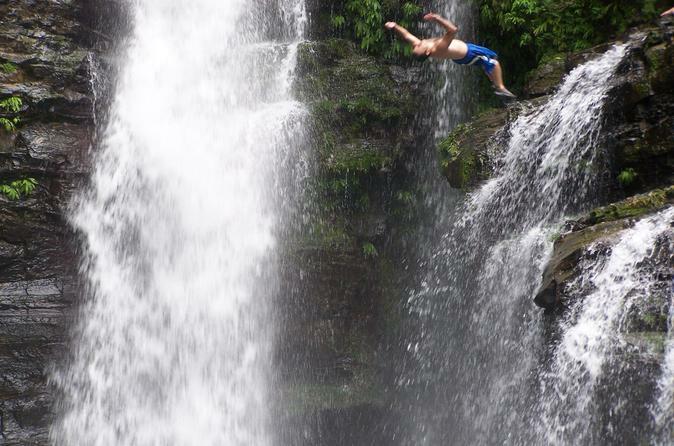 There is nothing like the feeling of leaning back into a tropical waterfall while troops of white face monkeys look on. A short hike to the rancho with toucans and macaws leads you to the rancho for fresh pineapple and juices in a Jurassic Park like setting. 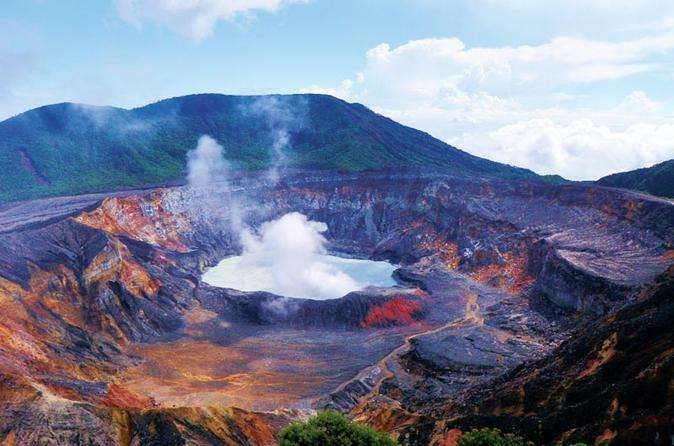 Visit Poas Volcano, the most visited Volcano in Costa Rica and also La Paz Waterfall Gardens with this day trip. 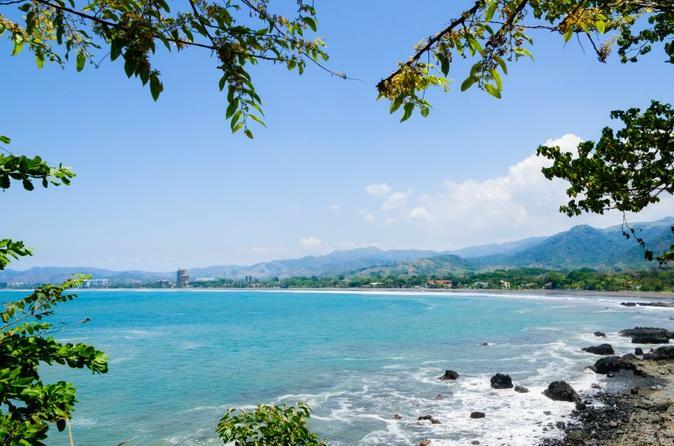 Experience the true meaning of ‘Pura Vida’ as this guided trip takes you to the rain forest in the hills above the Pacific Ocean to a majestic setting of pure Costa Rican natural harmony. take a 4×4 drive up the mountain over 1000’ to get to a private reserve. Your guide will stop along the way to point out interesting flora and fauna and the incredible views of the ocean and countryside. After a short (5 minute) downhill hike start your adventure through the river. Hike up the river using trails and bridges that criss-cross the river, allowing you to enjoy the multiple smaller, interactive waterfalls and natural pools. 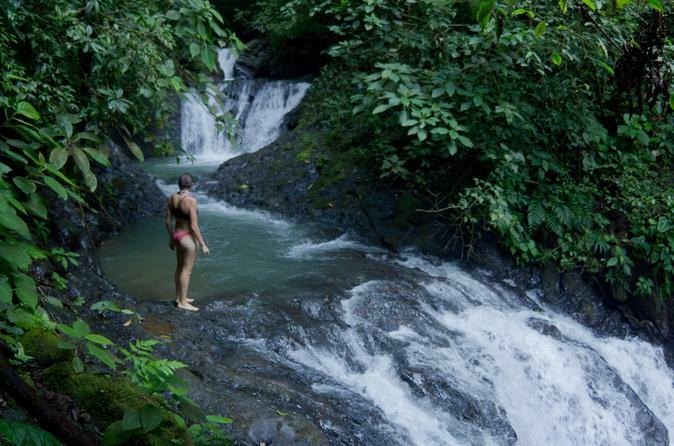 There are 4 different swimming holes and many waterfalls to get under. These natural pools will invite you to swim in the fresh mountain spring water and submerge under the falls for an invigorating massage. For the more adventurous there are a couple of places you can jump into the pools from 4’ and up to 25’! 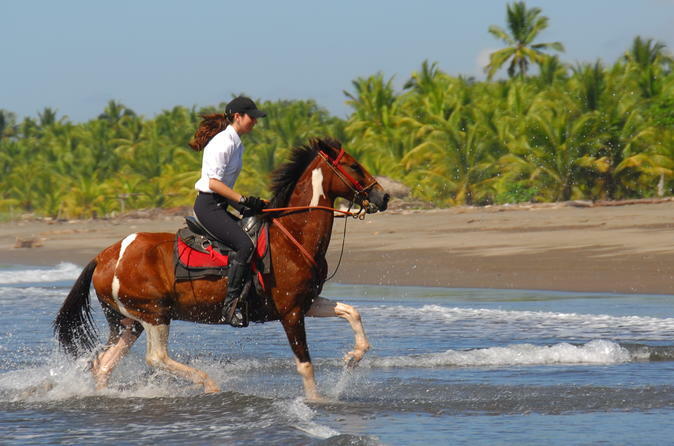 Welcome to enjoy great healthy horses, in our privileged location, a ranch next to the ocean. This magnificent combination plus our service door to door, an experienced outfitter horseman as a guide and closing morning tour with lunch at waterfront restaurant will let you experience authentic costa rica out of the beaten track. Every group will receive a VIP attention, we stay small to keep that personalized attention that let us make a difference in the tour activity. 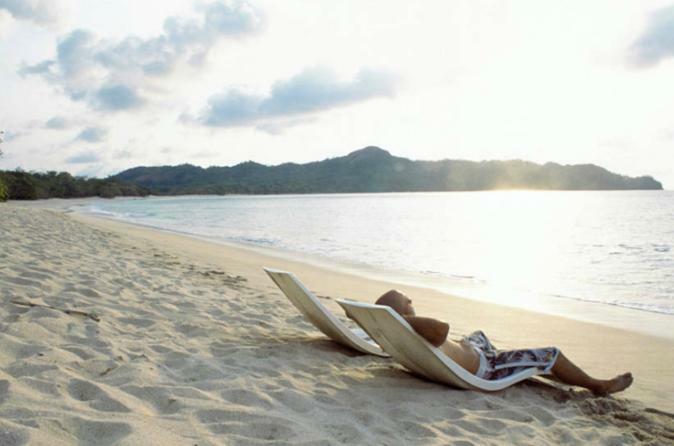 Afternoon tours will take place on the beach to enjoy the sunset along december, january, february, march and april. Prices are valid for hotels in Hermosa, Jaco, Herradura and Punta Leona. Experience a half day rafting package plus a 2 hour ATV tour "Extreme Vista". Basically, a full day will be needed for this combination or you can choose to split the activities into two days. We have combined ziplining, waterfall rappelling, and hiking along with optional swimming and cliff jumping as high as 25 feet. Canyoning is no longer just for die hard adventurers and expert climbers anymore. Just 20 minutes from Jaco, you will arrive at he base to start your adventure. After a beautiful 4×4 trip up the mountain you will be outfitted with latest and safest gear from Black Diamond in the USA. You will be instructed on the safe and proper use of the equipment then begin your 5 minute hike to the first zipline. After 2 “zips” over the river you will do a dry training rappel to familiarize you with the proper technique. A short hike down river and you will have some swimming and cliff jumping (4-25’) opportunities if you desire! 4 rappels through the waterfalls and you will do it all on your own. At all times you will be “safe and backed up” by your guides! After a short climb up you will exit the canyon and hike 15-20 minutes back to the truck. Visit and hike one of the world’s most beautiful national parks. 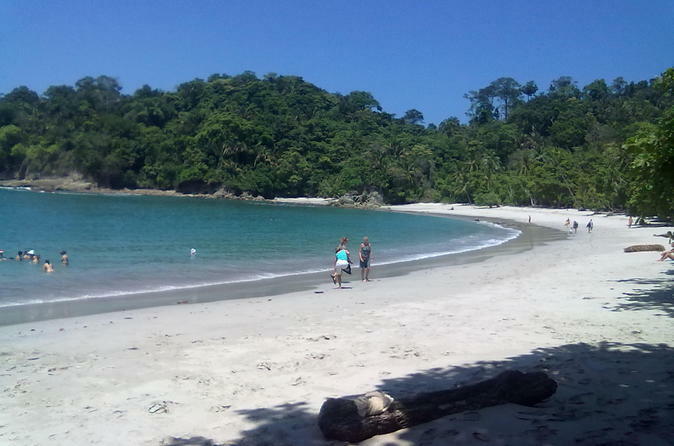 The Manuel Antonio National Park is a peninsula in the middle of amazing beaches, a stunning coast line and tropical rainforest. It’s the perfect place to enjoy outdoor activities and find out its unique plants and animals. 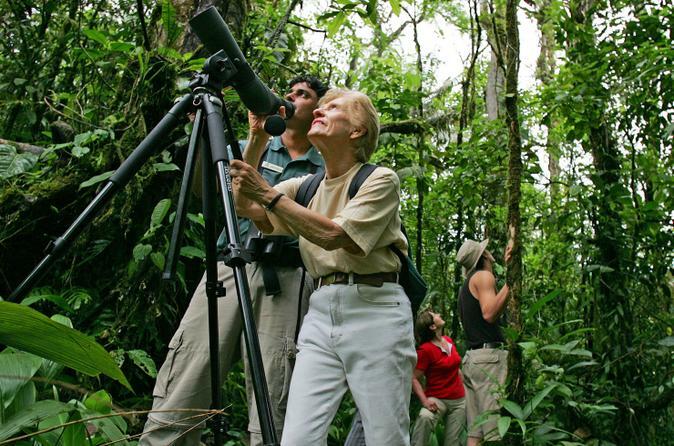 Bird-watchers, discover paradise on this early morning tour to a private nature reserve a short jaunt away from Jaco. Follow a naturalist guide into open spaces, gardens and the rainforest, and then float along in an aerial tram, for memorable sightings of some of the 50 native species of birds that live here. 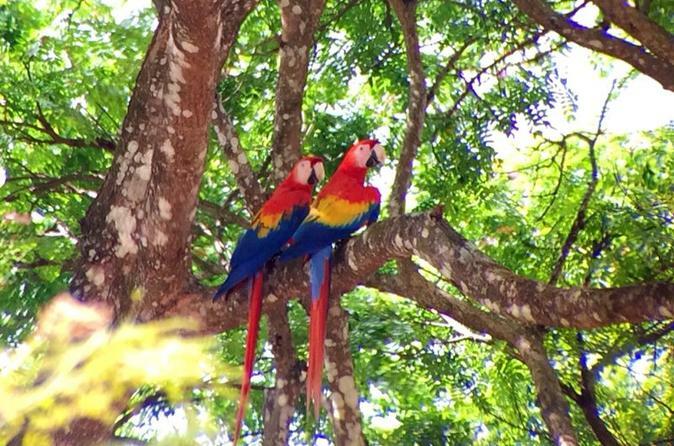 Scarlet macaws, tanagers and euphonia are just some of the birds you’ll see. After a marvelous morning of bird-watching, enjoy a hearty breakfast. Hotel transport is included. 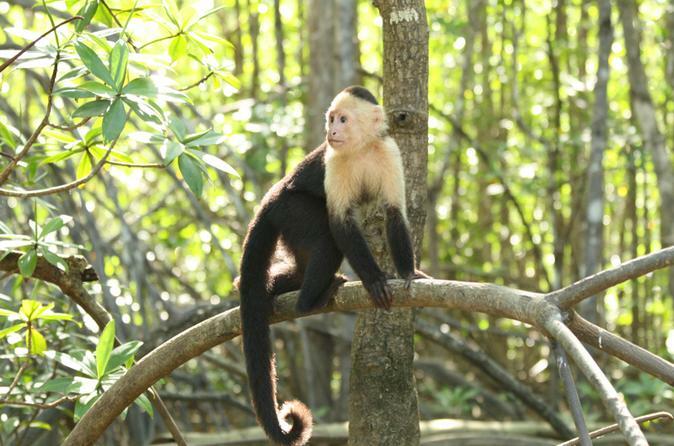 Observe abundant wildlife under a canopy of giant trees in Carara National Park! On the tour from Jaco, experience the unique transition zone of this dry rainforest with a local guide, and look for scarlet macaws, sloths and poison arrow frogs as you stroll. After exploring the trails, you’ll enjoy a stop at Jaco Beach – a surfer’s paradise! 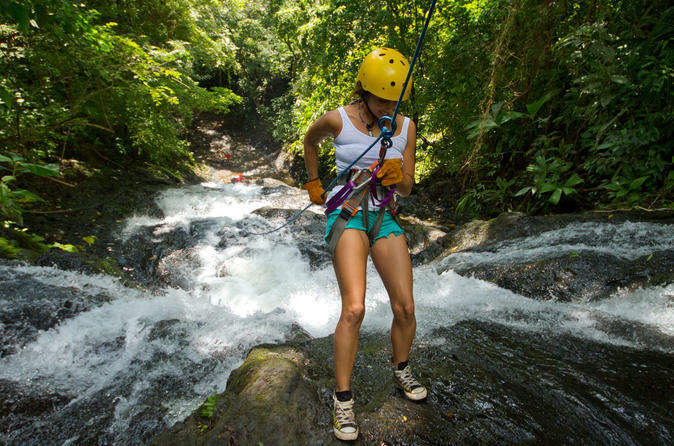 This is the perfect “mixed bag” adventure tour inclcuding hiking, waterfall rappelling , and a canopy tour zip line. This unforgettable experience takes you hiking up to a zipline that sends you to a platform hanging over a 200+ foot waterfall with your professional guide ready to greet you. Get ready for the first stage, a 90 foot drop to the pool below and finish with 4 more rappels. A short hike and zipline out on 3000 feet of cables to the Rancho for a cold drink and fresh pineapple. 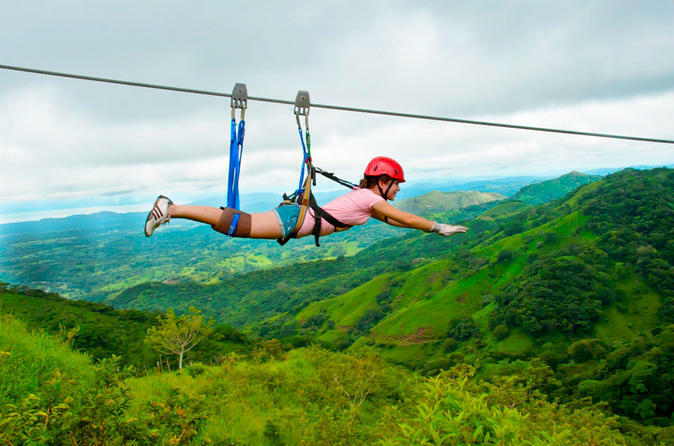 Experience the thrill of ‘Superman’ ziplining at Adventure Park Costa Rica! As opposed to traditional ziplining, where you sit upright, this Superman zipline course puts you on your stomach, lying on the harness horizontally with your hands out in the air so you can truly soar through the air. The two-hour canopy tour takes you flying above the trees on 13 cables for breathtaking views of the rainforest and the Gulf of Nicoya. All activities are supervised by experienced guides on this small-group tour, limited to a maximum of 10 participants, and training and equipment are provided. 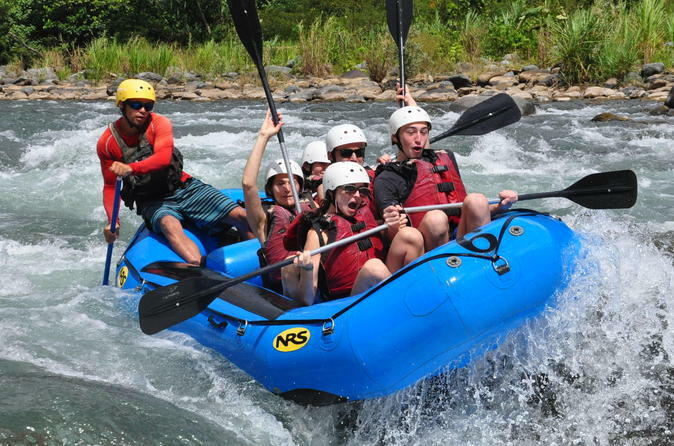 Run the cleanest river in Costa Rica that just so happens to have Class III rapids year-round! 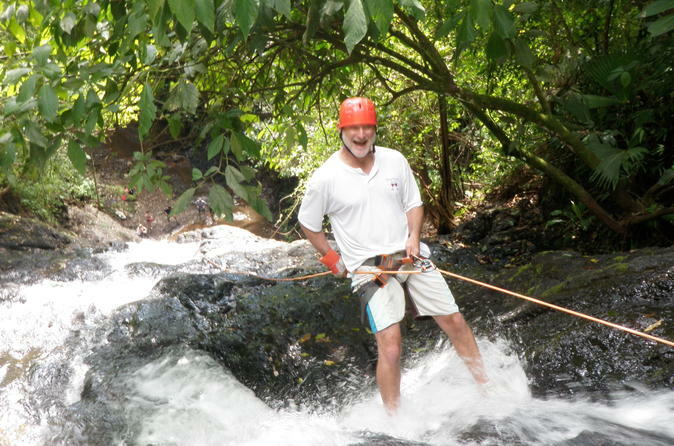 An adrenaline-packed adventure is just an hour away from Manuel Antonio hotel’s area. 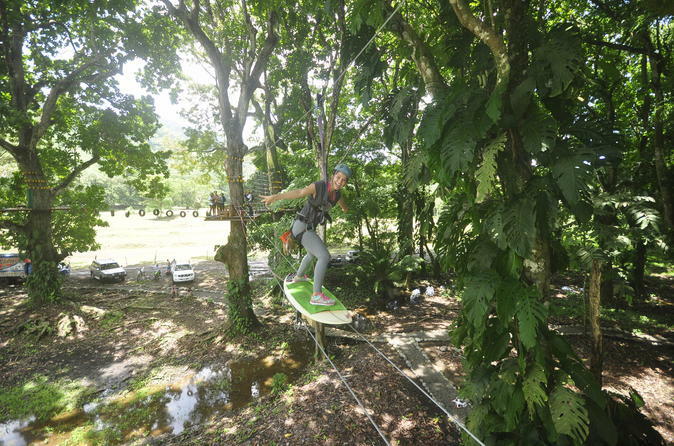 Come and enjoy this tropical outdoor excursion, where everyone is welcome… nature lovers, families, and especially adrenaline enthusiasts. 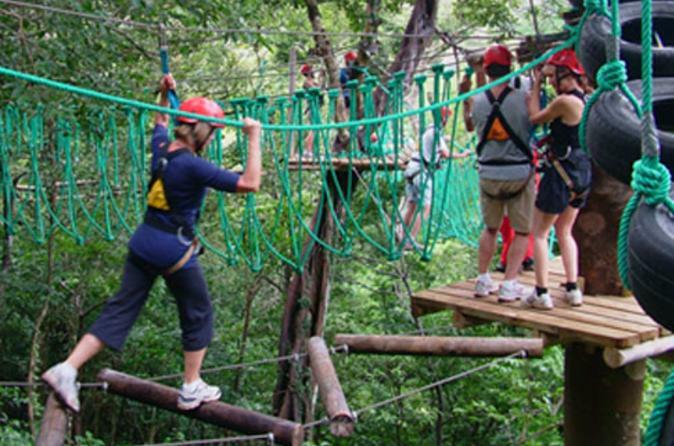 Swing like Tarzan on a ropes and bridges activity tour at Adventure Park Costa Rica. 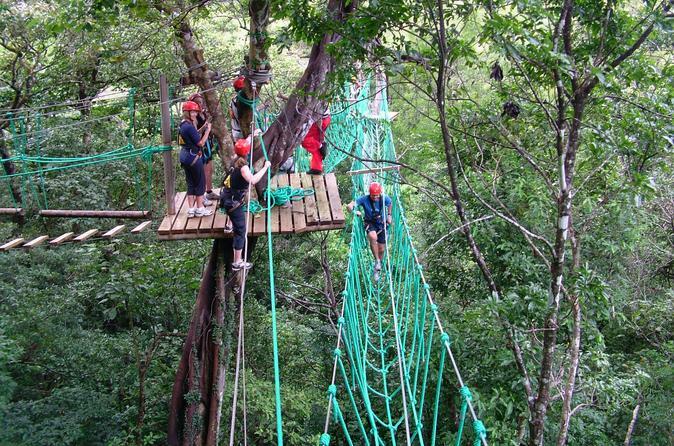 The largest and longest high ropes course in Costa Rica has a total of 33 platforms, taking you above the trees for bird’s-eye views of the Costa Rican rainforest and the Nicoya Gulf. All activities are supervised by experienced bilingual guides on this small-group tour, limited to a maximum of 10 participants, and training and equipment are provided. 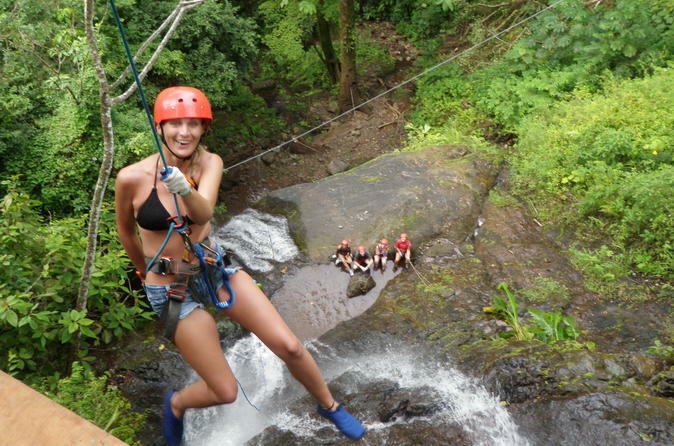 It's an unforgettable way to experience Costa Rica's natural wonders! 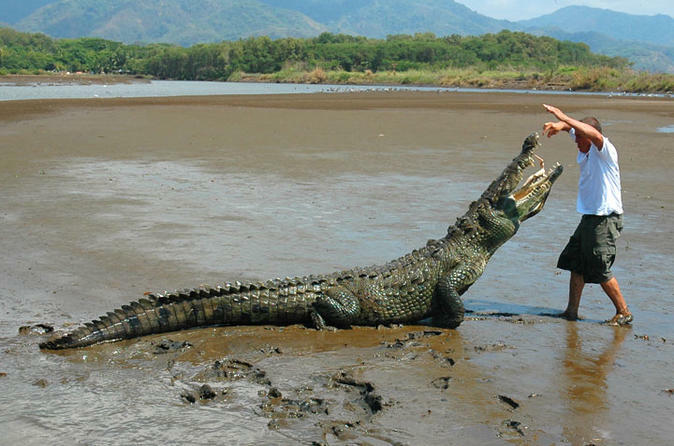 Guided crocodile tour and see a guide feed a crocodile in the wild. The tour is two hours long on a safe boat that takes you down the Tárcoles River. Transportation to the boat, water bottles and a bilingual guide are provided. 2-hour surf lesson with professional instructor in Jaco Beach. Jaco Beach is know for its world class surf and has waves for all ages. Caution! surfing can be addictive and you might never want to leave Jaco. Our obstacle course is located just minutes away from down town Jaco beach. The instructors will always assist in helping provide a safe and enjoyable tour. Even the most challenging obstacles can be made easy by pulling on one of the two safety lines or simply relaxing in your harness and waiting for the instructors to help. The adventure starts by climbing the stairway to heaven, 3 favorites include Air Surf, Tarzan Swing and the most challenging the Tire Pass. Pura Vida amigos! You will be picked up from your hotel and delivered to the 850-acre private river valley in minutes. 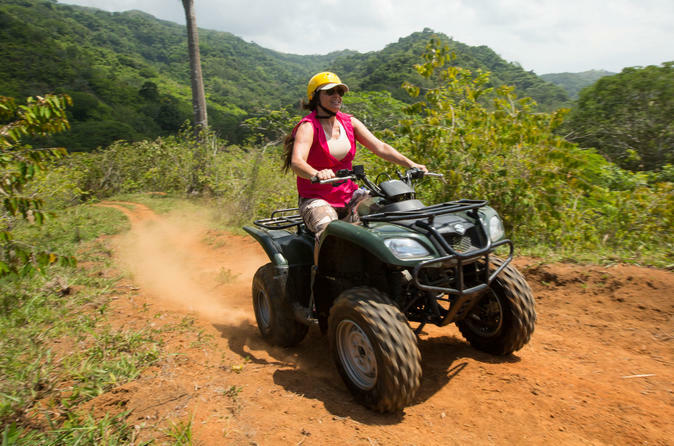 Professional guides outfit you with safety gear, explain how to operate the ATV and lead you through the 6 km of trails in the valley, never riding on the dangerous highway. 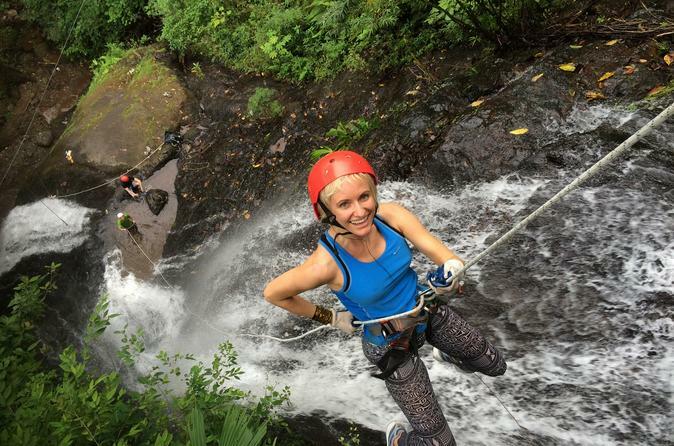 You will see monkeys, exotic birds, 500 year old trees and no houses as you ride deep into the tropical jungle to the 180 foot waterfall called El Encanto where you can watch adventures rappel. You may even see zipliners flying overhead to the rancho where everyone finishes for fresh pineapple and juice in a Jurassic Park like setting. Embark a confortable covered boat for a incredible Safari. 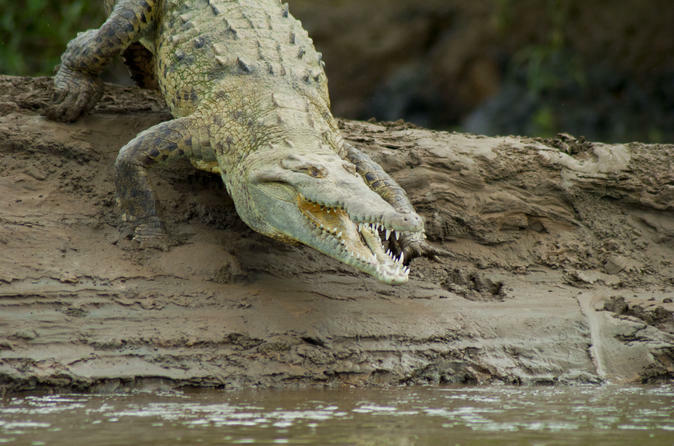 Crocodile River Cruise tour will surely spot the biggest crocodiles in the river for you to enjoy a great up close encounter with these magnificent reptiles. Fly like Superman on the zip line at Adventure Park Costa Rica. 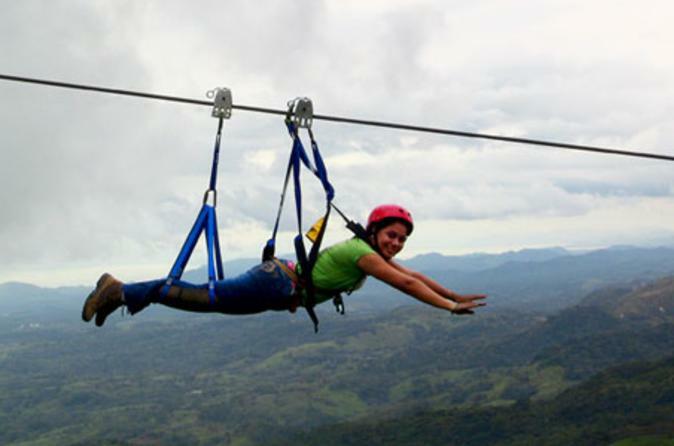 Feel the adrenaline rush of safely soaring like a superhero high above the treetops, with breathtaking views over the ocean, mountains and rainforest. This 2-hour canopy tour — described as 'the experience of a lifetime' by previous visitors — is led by a professional guide, with all the necessary equipment provided. Healthy snacks included. 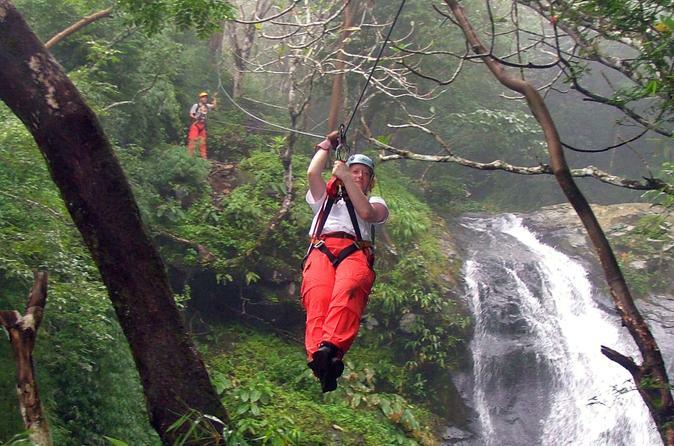 Transportation to and from this Costa Rica zip line tour is an available option. Participants must be at least six years old and less than 280lbs (127kg). 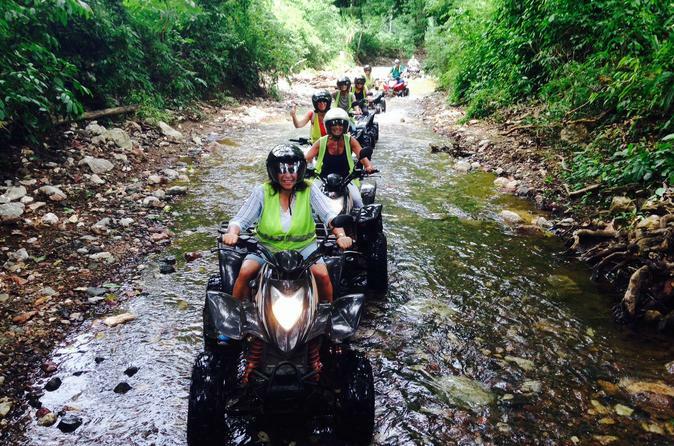 Adventure around Jaco on a motorcycle with a guide and see all the sights. Private guided tour of Carara National Park. 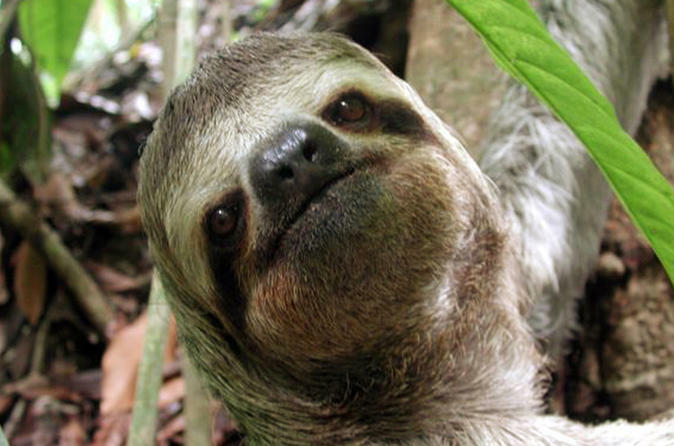 Enjoy the best of Costa Rica's wildlife with our professional tour guide. Get up close photos using our professional scopes. Your guide takes you in direction of the rice fields behind Jaco where you can cross the river or ride along the river side if you don’t like to get wet meanwhile your surrounded by butterfly trees and depending on the season and hours of the day you can admire the variety of wild birds. Such as, scarlet macaws, toucans, hawks, and falcons. Enjoy different routes up the mountain to extreme views of the pacific coast and hidden waterfalls! An amazing adventure for the whole family. Enjoy real mountain bike in the heart of the forest! . 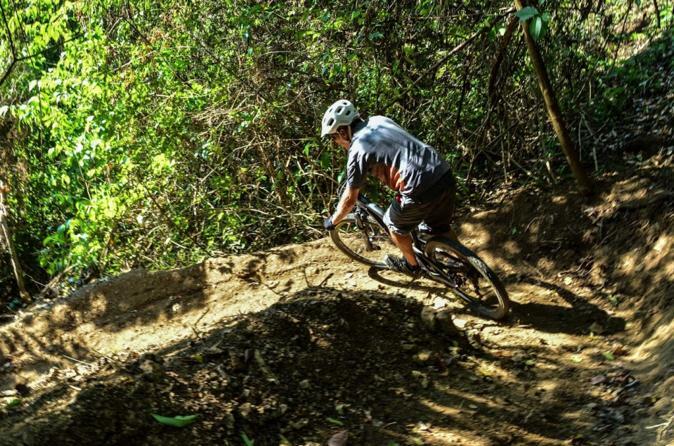 Get ready to experience an adrenaline-filled adventure on a mountain bike, going into the transitional forest on the Central Pacific coast of Costa Rica. 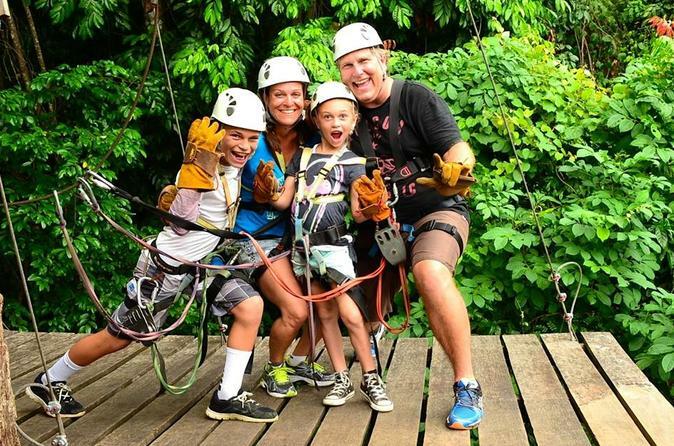 Experience the a really fun activity for all families and friends on this 2-hour, small-group high ropes tour at Adventure Park Costa Rica, the biggest and longest high ropes course in Costa Rica. 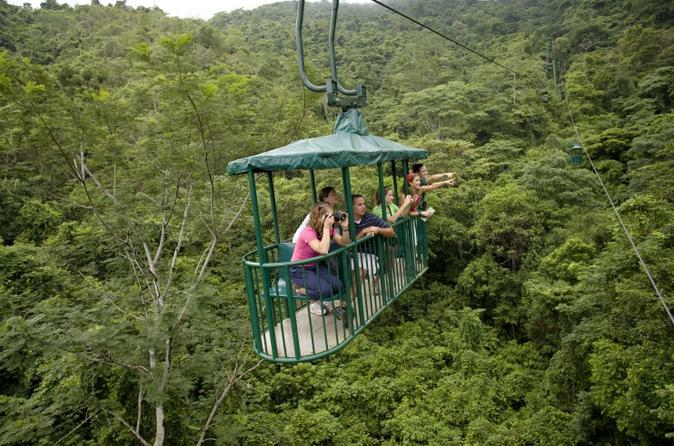 Featuring 33 different elements, the park enables you to climb high above the trees for an aerial view of the beautiful Costa Rican rainforest and mountains. A refreshing fruit platter is included afterward. Transportation to and from this tour is an available option. Visitors must be at least seven years old and weigh less than 280lbs (127kg) to participate. 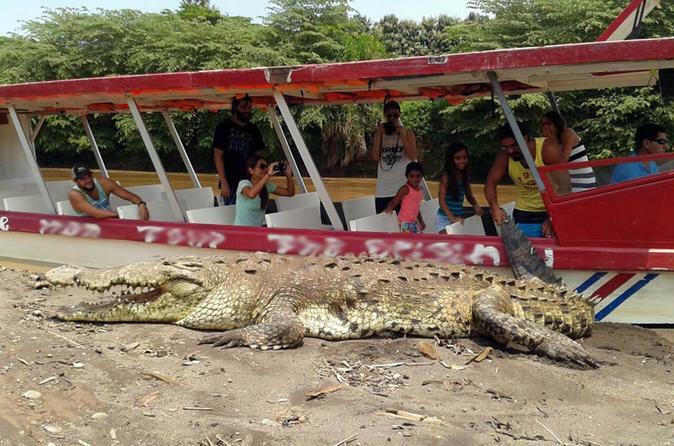 Come enjoy an adventurous nature tour with American crocodiles of all sizes. You will also see various species of exotic birds and wildlife such as iguanas, lizards that run on water, mangrove crabs, monkeys, and more. This will be a trip to remember! There are no jumps required, so if you are travelling with an adventurous spirit but just want to watch or swim that is fine too. It starts with a drive South to the wild and rugged Osa area. We will trek to five different waterfalls in three locations with each one getting bigger and more beautiful. You can observe the falls from dry-land, swim in the pools or climb up and jump right in, It is up to you. 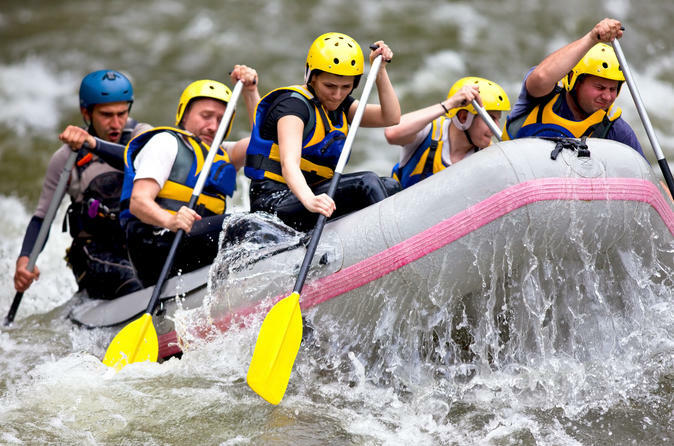 Join this full-day trip from Jaco and get ready for this rafting experience in The Savegre River. This river is considered one of cleanest and most pure rivers in Costa Rica. 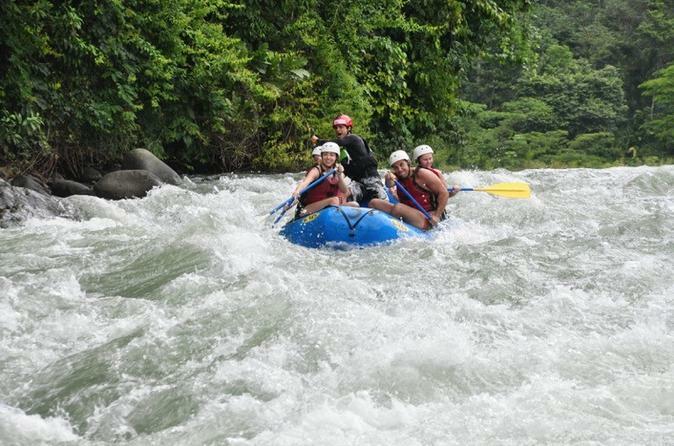 The Savegre River is a classic Costa Rica river, with lush tropical vegetation during the whole trip. Combine a horseback ride, waterfall rappel, and ziplining in a 850-acre private river valley that is full of monkeys and toucans. Situated next to Jaco and Playa Hermosa you can find everything all in one place. 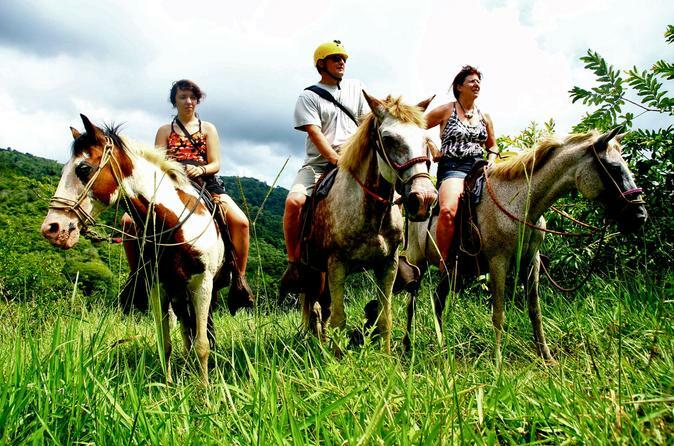 Start on Costa Rican horseride through the jungle to a tropical waterfall where you rappel from 180 feet. Professional guides shepherd you down the face of El Encanto with its series of pools. Zipline out of the Jungle on over 2000 feet of cable before arriving at the rancho for refreshments greeted by the cheers of your friends. 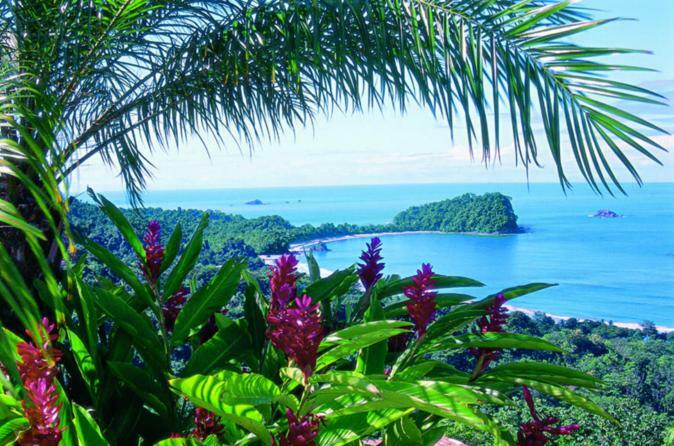 Manuel Antonio National Park is one of the most visited destinations of all Costa Rica national parks and reserves. With a very enjoyable weather throughout the year despite of some rain during the low season this charming yet small biological peninsula consists of several beaches, mangroves and coastal dry and humid forest. This protected area is very popular due to its wide variety of flora and fauna.